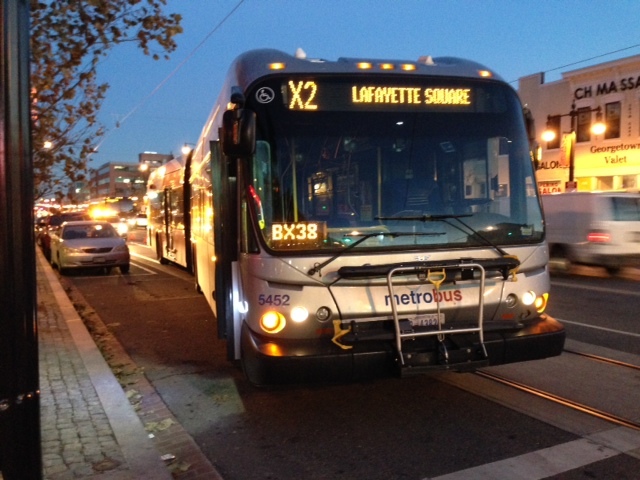 “ATU Local 689, the union representing Metrobus Operators, is currently engaged in an unauthorized and potentially unlawful labor action that is significantly impacting riders on the X2 line. The stated goal by union leadership is to draw attention to safety concerns, specifically bus operator assaults, following an incident on Saturday. This is a subject on which Metro and the union agree: Absolutely no one should be assaulted simply for doing their job. However, we disagree with impacting Metro customers who are simply trying to get to work and school by Metrobus Operators refusing to provide bus service in a disruptive and unlawful job action. Metro and the union also agree that laws need to be strengthened to help protect bus operators, including enhanced penalties for anyone who assaults a frontline transit worker.